If you are looking for a sibling birthday card for a sibling you are close to then this is perfect. The verse on the front sums up what it means to have a brother or a sister. There is no bond in the world that is the same as the bond shared with a loved brother or sister. You can customize this card by adding your own text inside it to create a beautiful, one of a kind birthday card. 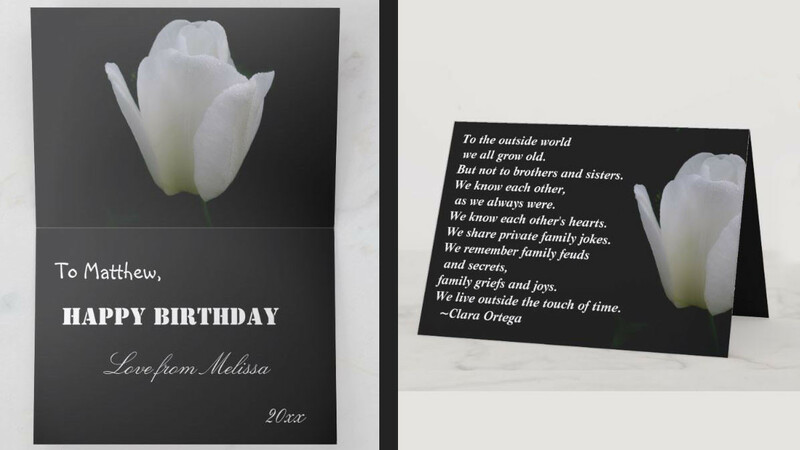 There are three different sizes of greeting cards to choose from including small, regular and giant. Any sibling is sure to appreciate this adorable card.